Electoral Districts of East Hants as mandated since 2006. Location of fire hydrants within the municipal water supply systems for Annapolis County. Location of LED streetlights installed in 2016. Point locations of water access to the coastal, river & lake areas in Annapolis County. All zoning areas in Annapolis county. A visualization of the average living area of common styles of residential dwellings. 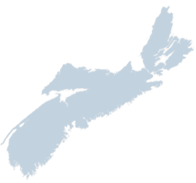 A visualization of the average living area by jurisdiction in Nova Scotia.